DX bounty Events are in full swing, and the growing global community of DxChain has also attracted the attention of more technology enthusiasts. Thank you for your continued concern and support. 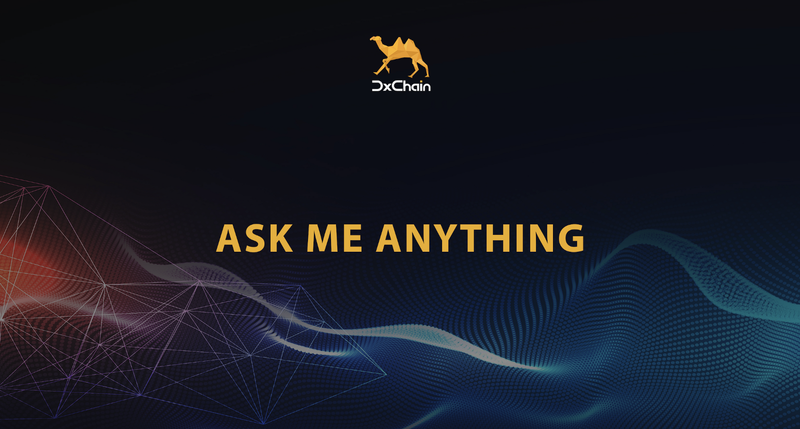 The DxChain team is looking forward to getting more review from our community! 1. How do DxChain enhance the security and capabilities to protect each user from anonymous attacks? In the file uploading process, the use of chunk encryption and erasure coding algorithm enhanced the reliability and security of the storage system. Since each provider only has pieces of the file, it is impossible for a single provider to reveal the entire content of the original file. Even in the worst case that an attacker managed to get all needed data pieces and is able to convert them into chunks. Those chunks are still encrypted by the client’s secret key. 2. Can you tell us a little bit about recent developments? The MVP demonstrated the feature of storage and retrieval of files on a 5-node network, as well as the mining and storage functionality of nodes, and the successful upload and download of a test file. The release of MVP showcased DxChain’s blockchain storage capability as promised. Marked the beginning of DxChain’s productization. At the same time, the DxChain Testnet browser was released, allowed users to see DxChain products visually. 3) January 7, 2019 — Launched the Testnet, SDK and the first blockchain cloud storage product DxBox. DxBox is a decentralized blockchain storage product powered by DxChain Testnet, provides secure & private cloud storage for users all over the world. Now DxChain team also provides free trials for KuCoin users and cryptocurrency supporters to try out the blockchain storage through using DxBox. You can have your own secure and decentralized blockchain storage at NO COST! Don’t miss out! Talk to @DxChainBot to start. As the roadmap shows, we are now working on the final test and release of Testnet 2.0. We will release the Testnet 2.0 very soon with more efficient performance. This release mainly focuses on backend improvement, so there will be little change on the user interface. 4. For the DxBox Testing Event, what kind of file can be uploaded to the DxBox? Thanks for participating in the event. For the free trials, any file you would like to upload is accepted, but there is a size limit for a single file, it is 10 MB. 5. What about marketing, promotion activities, to reach the end users? We have held meetups both online and offline to reach the users, in U.S, Korea, China and European countries. And our marketing and PR team work with various media partners and groups to spread the news about DxChain all over the world. 6. What is the advantages of Dxchain network to other existing working product?